Alienware's not the only gaming laptop manufacturer looking to offer desktop performance to laptop owners: MSI's unveiled a 13" laptop + desktop GPU enclosure combo of their own in the form of the GS30 Shadow and Gaming Dock bundle. 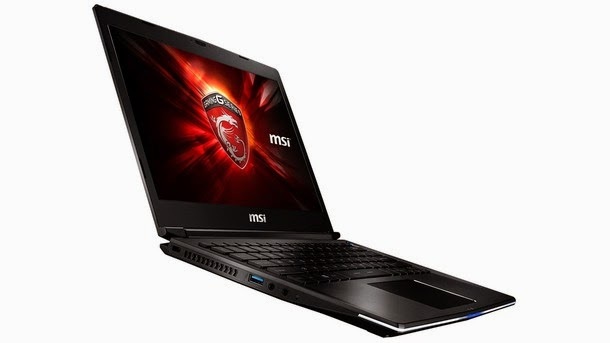 The model shown sported a 13.3" screen (1920x1080 resolution), an integrated Iris Pro 5200 graphics processor, Core i7-4870HQ, 16GB DDR 1600MHz RAM, and a pair of 128GB SSDs in a RAID 0 configuration. The GS30's standout feature, though, is its gaming dock, which allows you to use the processing power of a desktop GPU up to 14.3" in length, expand your storage via a slot for a 3.5" hard disk drive, and pipe your laptop's audio through its speaker. MSI reps were quick to point out what they feel is the Gaming Dock's key advantage over Alienware's Gaming Amplifier: bandwidth. Their claim is that while the Alienware Gaming Amplifier limits bandwidth to PCI-E x4 speed, their Gaming Dock gives you the full speed of PCI-E x16. Result? Better performance. While I couldn't verify MSI's technical claims (though they seem plausible, given the difference in how each external unit connects to its respective laptop), Far Cry 4 felt super smooth with the laptop docked to the Gaming Dock with a 980 inside and all settings maxed out; smoke effects and fine details on floorboards and furniture rendered beautifully as I wandered down hallways. If this experience is the same outside of controlled demo conditions, a specific subset of laptop gamers may have found their dream hardware at last—though it won't come super cheap, as it's $1700 for the bundle, and you'll still have to shell out for a desktop video card (as well as an additional HDD to fill that bay, if you so choose). 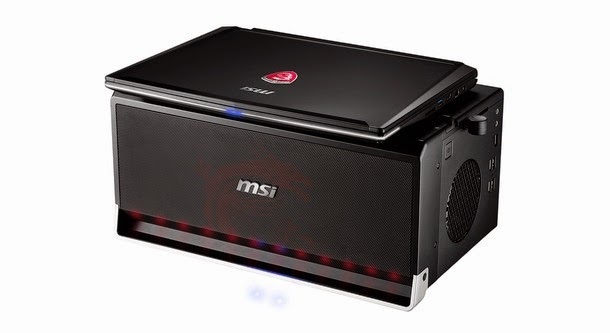 MSI did note that while the GS30 and the Gaming Dock will only be sold together as bundle for now, the Gaming Dock may become compatible with other MSI laptops in the future. 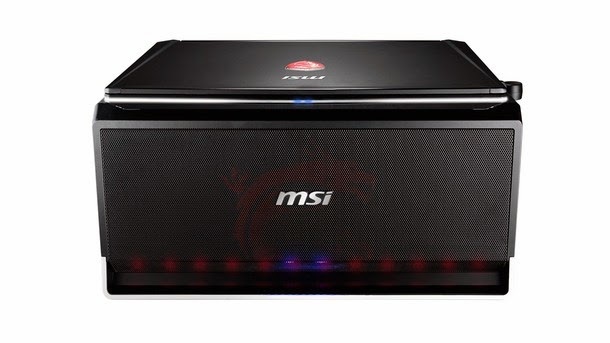 MSI's starting off 2015 with a strong gaming lineup—besides the GS30, there's the seriously souped up GT80, a 4K 24" all-in-one, and successor models to their Nightblade small form factor barebones kit (now with a Z97 motherboard), the GT72 (which is now, according to MSI, the first laptop to offer USB 3.1), and the GE60 (the GE62 will offer refreshed specs, including a new discrete GPU). Some of these models won't hit shelves until later in the year, like the 4K all-in-one, but MSI will offer most for sale beginning January 5th.